Our product range includes a wide range of jaw couplings, l type jaw couplings, jaw coupling spider, ms flexible jaw couplings and curved jaw couplings. We offer a premium quality range of Jaw Couplings. 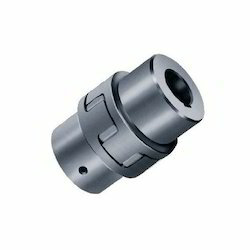 All the couplings are designed in compliance with international quality standards and latest technology. In addition to this, our couplings are delivered at clients’ end within the committed time frame. We offer a premium quality range of L Type Jaw Couplings. 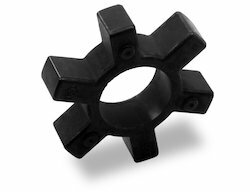 Designed to perfection, our offered couplings are provided to clients in various sizes, designs and shapes at competitive prices. Made using quality material, our couplings are checked by expert quality controllers to ensure flawlessness. Our organization is widely acclaimed in offering Jaw Coupling Spider to our clients. Our offered array is widely applauded by the customers due to its unique features like ruggedness, accurate dimensions, and corrosion resistance. Moreover, these are available in the market in various sizes. Extremely resistance to wear, oil, ozone and ageing also resistant to hydrolysis. Protect the drive against dynamic overload. Innovation is our forte and we strive to offer a precision engineered range of MS Flexible Jaw Coupling. 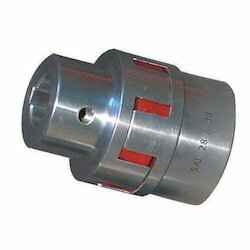 Our offered couplings are provided to clients in various designed and sizes at most competitive prices. These couplings are processed and tested under the strict supervision of expert professionals to ensure that these meet with industry standards. We have gained in-depth industry experience and sound domain knowledge of manufacturing and trading a wide spectrum of couplings including Curved Jaw Couplings that are also referred to as Torsionally Flexible Couplings. It is designed to accommodate minor misalignment and slight vibrations. These are made by using the best grades of raw materials and have outstanding dimensional accuracy and tensile strength. Our clients can avail these at affordable rates.